ECB and PBOC rising concern about their currencies rally. 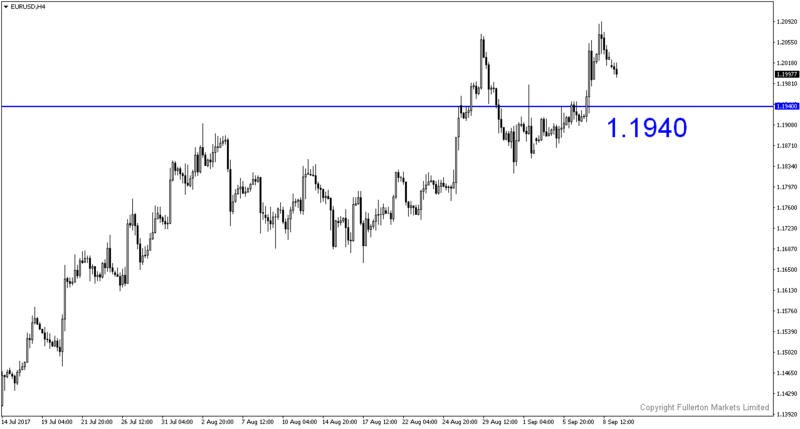 EUR/USD hits resistance, sell EUR/USD? China’s central bank removed the reserve requirement of 20% for trading foreign currency forwards. This may slow the pace of yuan appreciation after its biggest two-week rally in more than 10 years. Yuan’s influence in the regional may slow the gains in Asian currencies, leading to a higher US dollar. Besides, US CPI data this week may give some support to dollar as well. Background: After PBOC’s fixing reform in August 2015, yuan’s drastic drop was considered out of control. PBOC imposed the reserve requirement on financial institutions trading in foreign currency forwards for clients, and it mandated a deposit of 20% of sales. This requirement discouraged speculations against yuan. From now until further announcement, PBOC will stop requiring financial institutions to set aside cash when buying dollars for clients through currency forwards. We think this is a signal showing Chinese authorities may seek to slow yuan’s rally, after the currency surged past 6.5 per dollar for the first time since May 2016. Last Thursday and Friday, PBOC also set a weaker-than-expected fixing. A strong yuan has negatively impacted Chinese economy. It’s August exports missed expectations and slowed for a second month. Such data is a reminder that exports support for China’s recovery is not guaranteed. The slowdown raised questions about PBOC’s tolerance to the current yuan rally, which threatened to erode competitiveness. If PBOC continues to fix yuan’s reference rates below markets’ expectation, it will induce yuan’s spot rate lower. Such reaction is likely to bring down the other currencies in the region as well. Since China is one of their biggest trading partners, this will offer support to dollar. There was broad consensus within ECB’s Governing Council last Thursday that the next step should be a QE reduction. However, Reuters reported ECB is said to have discussed 4 QE scenarios and included options to extend QE by 6 or 9 months. In other words, if inflation is to stay tepid and far below ECB’s 2% target, ECB may delay the start of tapering until middle of next year, and this is seen as a dovish policy. Policy makers are said to have talked about QE reduction to EUR20 billions or EUR40 billions. Rising uncertainties of ECB’s upcoming QE policy may encourage some traders to square earlier EUR/USD long positions. This reaction is positive for dollar. Market seems less interested to continue buying this pair after ECB meeting. Price may retrace to 1.1940 this week. This pair may rise to 108.75, as North Korea geopolitical risks ease. 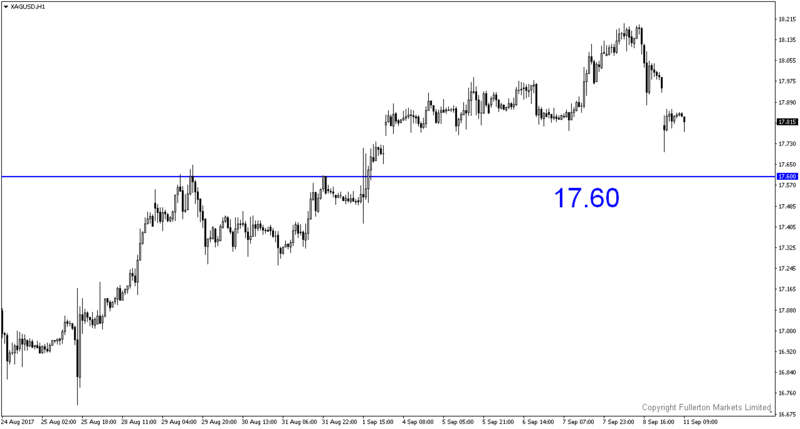 XAU/USD (Gold) & XAG/USD (Silver) – Slightly bearish. Signs of dollar stabilising could push gold and silver lower towards 1330 and 17.60 respectively. UK: BOE monetary policy decision. Thursday 14th September, 7pm. We expect the BOE to hold the rate unchanged at 0.25%. US: CPI YoY. Thursday 14th September, 8.30pm. We expect the number at 1.8% (previous figure was 1.7%).